A minor request that will make the Clickup experience even smoother. 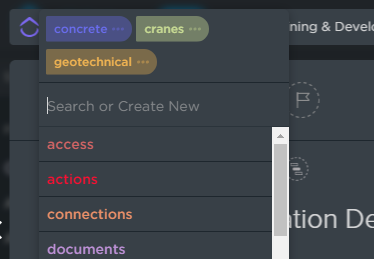 When I want to allocate tags to a page, I click on the labels icon and a menu pops up. Typing in the search box brings up a list of labels that are relevant. See image for the labels list for a task card. However, if I'm part way through typing an existing label in the search box, the label(s) will appear in the list below. In order to select it I have to use the mouse to click on the label. Pressing enter would just create a new label of the partly typed word. It would be good if I could press the tab key to select the label from the label list, and navigate up/down, followed by pressing enter to select the chosen label. That is faster than having to grab the mouse. Alternatively, pressing enter could move the cursor to the list, and pressing shift+enter could create the label from the search box?